As Founding Director of leading estate agency Ideal Homes International, White has closely monitored the Spanish property market for a number of years. Over that time, he has seen the high season in the Costa Blanca gradually extended until later and later into the year. “One of the key reasons that British buyers love Spain is the wonderful weather. 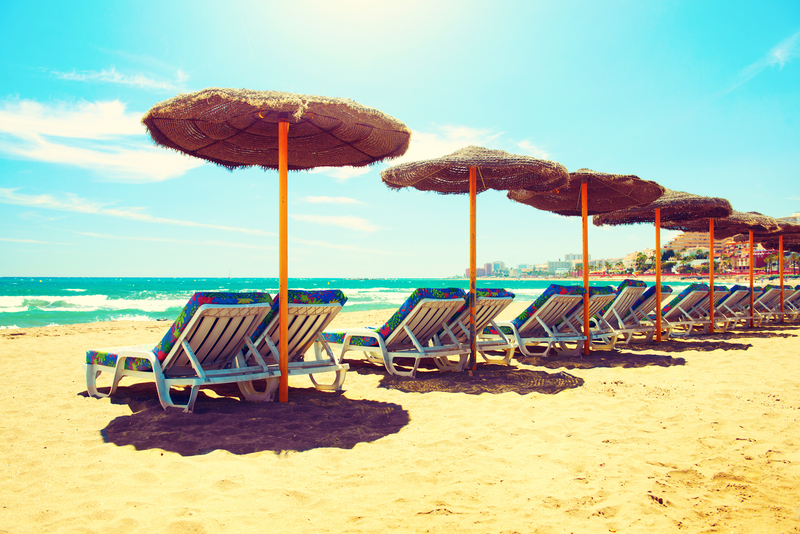 Being able to pack your flip-flops and escape the UK climate after such a short flight makes Spain perfect as a holiday home destination for those who live in the UK. Alicante Airport’s management company, Aena, agrees. The company has announced the extension of its high season to December this year, in recognition of booming passenger demand. The airport has superseded all expectations this summer and is now on track to see more than 3 million passengers pass through from September to December. The figure represents an increase of 15% over the corresponding period last year. Many European airlines are now using larger, transatlantic aircraft on European routes as a result of the increased demand, with the larger jets transporting over 300 passengers per flight. Figures from the National Statistics Institute reveal that Alicante’s experience is being mirrored across Spain. Visitor numbers increased by 10.1% for January to August 2016 compared with the same period the year before, with a total of 52.5 million tourists enjoying the delights of the Spanish climate. British numbers in particular were up – by 13% according to the latest data. The figures have also shown that tourist numbers increased by 5.8% in August alone, as the record Spanish season continues. The property market is also heating up. Ministry of Development figures show all 17 autonomous communities of Spain saw the number of property transactions rise in the second quarter of 2016. They also saw transaction numbers increase in all regions for the full year to June 2016, up 13.2% compared to the year before. State meteorological agency AEMET has confirmed this autumn is expected to be the third hottest in over 50 years. Meanwhile figures from the last three years have shown that early September has been the hottest part of the year, with temperatures on average 1.2 degrees above the average for July and August. Temperatures this September were above 40 degrees Celsius. For those visitors keen to pick up a second home in the Spanish sunshine, Costa Blanca properties offer outstanding value. Architect Ricardo Bofill’s lovely apartments just 50m from the sea in Calpe, which come complete with rooftop pool, are available for €181,000 for a three-bedroom home. The Costa Blanca also has plenty of luxurious villas to tempt buyers with larger wallets. This outstanding home has six bedrooms, with the master bedroom enjoying a balcony with views to the sea. There’s also a pool, terrace with wood burning stove, fully equipped gymnasium with changing rooms and showers, games room and tennis court. For further details, call Ideal Homes International on 0800 133 7644, email info@idealhomesinternational.co.uk or visit www.idealhomesinternational.co.uk. 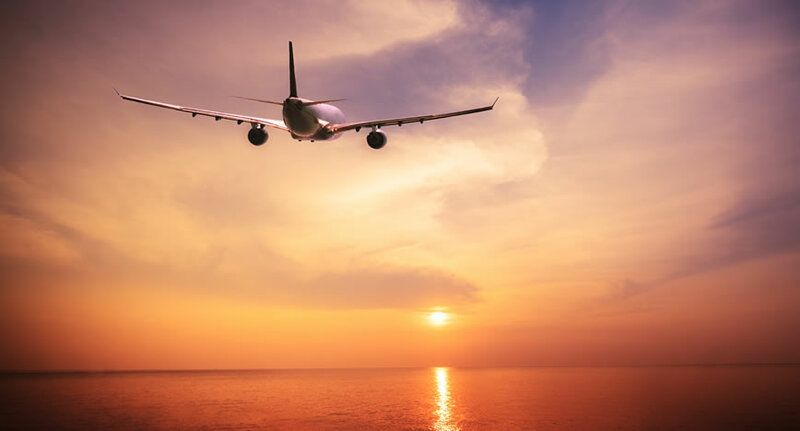 The Cyprus tourism sector is booming, with statistical service Cystat reporting an 8.5% increase in arrivals in July, when compared with a year earlier. Flush with the strength of sterling, British visitors were up 22.5%, but arrivals from Greece and Israel also played an important role. 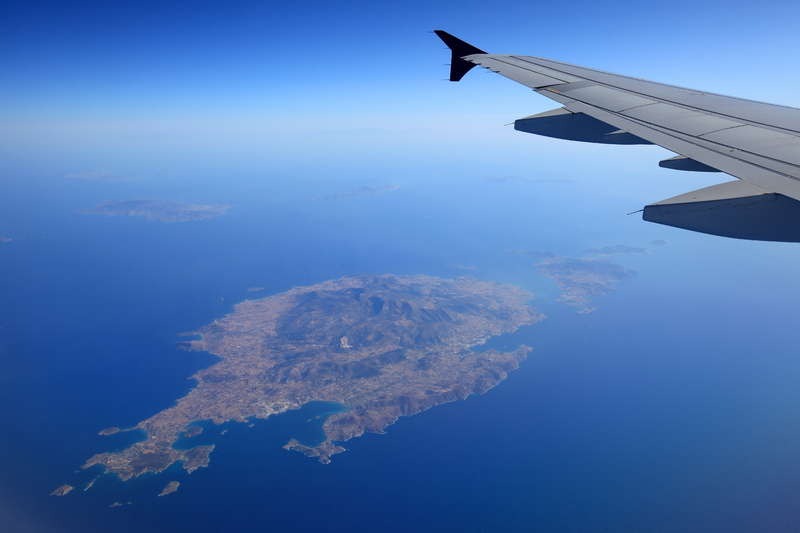 According to the Cystat figures, arrivals from Greece in July were up by a staggering 55.8% year on year. Israeli visitor numbers also shot up, increasing by 65.0% between July 2014 and July 2015. The figures take the total number of tourists to visit Cyprus so far this year to 1,450,427. In tandem with the rising visitor numbers, local estate agent Ideal Homes International has received a record-breaking number of enquiries so far this year, with sales to UK buyers increasing noticeably. “Cyprus is attracting keen interest from property buyers right now, as well as from tourists,” comments Ideal Homes International’s Founding Director Chris White. 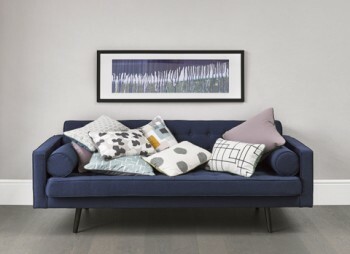 “UK buyers are particularly excited about what they can get for their money, given the strength of the pound so far this year. As well as its beautiful scenery and glorious sunshine, Cyprus has just been ranked as the world’s 5th safest country by ValuePenguin, after an extensive data-crunching exercise. For countries with populations of fewer than five million, Cyprus took the number one safest country spot. Cyprus has always been a firm favourite for the British buying overseas with Paphos, on the island’s west coast, proving particularly popular. Now, the exchange rate has meant that buyers are increasingly keen to snap up holiday home bargains, according to the Ideal Homes International team. Retirees are encouraged by Cyprus’ many tax incentives and in particular by the fact that private pensions are taxed at just 5%. This can mean serious savings for many families, who can make their money go further as a result of a new life in the Cypriot sunshine. The tax environment is also beneficial to those looking to open a business in Cyprus. 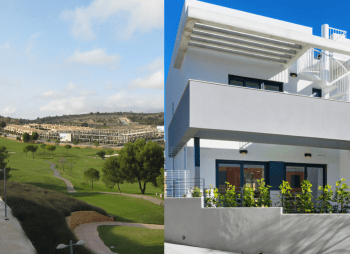 According to official figures from the Department of Lands and Surveys, the number of property sales in Cyprus rose by 22% in July when compared with a year earlier. In Paphos, the number of sales was 30% higher than in July 2014, demonstrating the area’s increasing popularity. It’s not surprising when you consider what is on offer. €110,000 is sufficient to purchase a semi-detached, modern, two bedroom house with shared pool in Paphos, just seven minutes’ walk from the sea. €179,000 will stretch to a three bedroom penthouse apartment with L-shaped balcony, large shared pool and sea and mountain views. 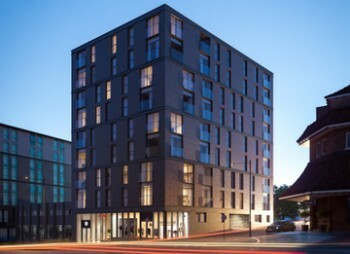 Those considering taking advantage of the lowest prices in a decade are invited to attend the Overseas Property Show, which will be touring the UK over the coming months. Tickets are free and experts from Ideal Homes International will be on hand to offer advice and guidance at every event. Island living is on the up. According to the latest Island Report from Knight Frank, luxury, seclusion and sea views are inspiring many buyers to opt for an island second home rather than one on the mainland. The report challenges the perceptions about island property ownership. It is no longer something enjoyed only by high net worth individuals, though of course they play their part. In fact, data from NetJets has shown a 69% increase in private jet flights to island destinations between 2004 and 2014, with the Balearic Islands of Ibiza and Mallorca each registering an increase of 100%. Issue 24 of the quarterly Kyero.com Enquiry Report, covering April to June 2015, shows just how even the split is, with 21% of Ibiza enquiries in the €150k to €200k price range, compared with 20% in the €500k to €1m bracket. Ibiza was one of the islands highlighted in the Knight Frank Island Report as well, with tourists numbers there reported to have risen 12% in 2014. Prices for luxury residential properties there rose by 5% over the course of last year and Knight Frank’s Ibiza property website viewings shot up by 11% in Q1 2015, compared with the previous quarter. 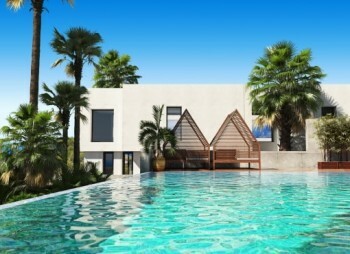 For €230,000, for example, buyers can pick up a stunning property at Cala Anguila II. With direct beach access, delightful sea views, a sizeable communal pool and prettily designed gardens, the two and three bedroom apartments provide luxurious island homes for buyers looking to escape to the serenity of Mallorca. Beyond the Balearics, Cyprus is a popular island location for second homes, particularly with UK-based buyers. 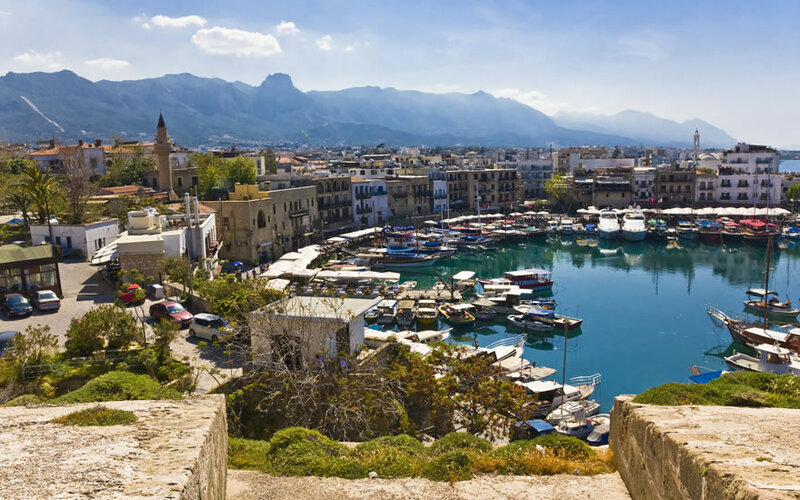 The third largest and third most populous of the Mediterranean islands, Cyprus has seen some 28% of its property market made up of overseas buyers, according to the June Land Registry figures. Paphos, on the west coast, is one of the most popular areas, with sales there increasing by 20% in June according to the Land Registry data. Cyprus offers some incredible properties and it is easy to see why so many overseas buyers seek out this island location for their second home. This four bedroom, three bathroom villa with infinity pool at Alexander Heights, in the Aphrodite Hills, is available for a cool €2,797,501. The careful design has ensured that each villa at the development enjoys its own private landscaped garden, with spectacular views out over the sea, affording a high degree of privacy. As well as the heated pool, the villa benefits from a Jacuzzi and a versatile basement area that can be used as an additional bedroom, games room, TV room or even have a sauna installed. According to Knight Frank, online viewings of its island-based properties increased by 21% in 2014 and the leap in interest looks set to carry through to 2015, as increasing numbers of second home buyers leave the mainland behind in their search for the ultimate island getaway. Overseas Property Show set to take Herts by storm this summer! For further details and to claim your free tickets, visit www.theoverseaspropertyshow.com. The Mediterranean island country of Cyprus, which enjoys some 340 days of sunshine per year, has reported a 25.7% surge in tourist arrivals for the month of March 2015, according to figures from the Republic of Cyprus Statistical Service. Tourism income shot up to €65 million for the month, from €56.5 million for the same month a year earlier. 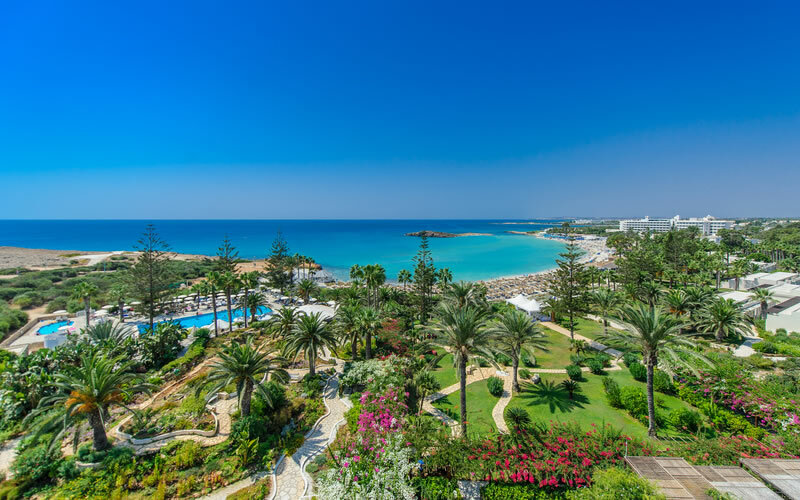 Cyprus has long been a favourite with British holidaymakers and second home owners thanks to its combination of sunshine, stunning beaches and low cost of living. Now, a new addition to the Ideal Homes International network, local property expert Maria McLaren, is bringing a range of luxury Cypriot homes to UK buyers. Maria has more than a decade’s experience of selling property in southern Cyprus and knows the island inside out. Permanent residence in Cyprus is certainly a sought after status. An audit services report for 2013, recently announced by Interior Minister Socrates Hasikos, revealed a €2 billion boost to the economy thanks to property sales and investments made through the Cypriot ‘citizenship by investment’ programme. The programme has resulted in high end villas being snapped up by overseas buyers, but those who haven’t yet bought their dream home in Cyprus need not panic – there are still plenty of luxury properties to choose from. Amorosa Villas in Latzi, for example, offer the exclusivity of one of the island’s most pre-eminent gated estates, with a three bedroom villa available for €1.65 million. Plots sizes are simply huge and the villas are magnificent in their level of sumptuous comfort. Generous living spaces and reception rooms with fireplaces are complemented by saunas, gymnasiums and treatment rooms, along with infinity pools with views that stretch over the verdant countryside, all the way to the sea. If that’s not large enough, just over €3 million will buy a five bedroom, four bathroom villa located directly on the sand at Latchi, with fine dining restaurants and the marina within easy reach. Considerate design has created a spacious and light-filled interior, while outside the infinity pool has been designed in such a way that it is possible to climb out directly onto the beach. Generously appointed balconies and a lush roof terrace affording stunning sea and mountain views complete this seriously luxurious property. Over in Polis, another contemporary villa boasts unparalleled sea views from all rooms, along with an open plan living/dining and kitchen area that opens out onto an external BBQ area with expansive deck overlooking the pool and sea. The elevated overflow pool is perfect for bobbing around in while sipping a cocktail and watching the sunset turn the sea and sky from blue to pink to purple over Argaka Bay. For those rare rainy days, the smart house enjoys a home cinema system and glass fronted verandas for watching the rain lash down from the warmth of the cosy interior. For further details of luxury homes in Cyprus, visit www.idealhomesinternational.co.uk or call Maria and the team on 01543 325316 or 07527 301861.